You really can take it with you! Sedona has 100+ trails covering forests, streams and red rock grandeur so you’ll need a guide. Sedona Hiking can be that guide. We supply trail descriptions, directions to the trail head, points of interest and the ability to follow your progress in real time with your Following the trails has never been easier. 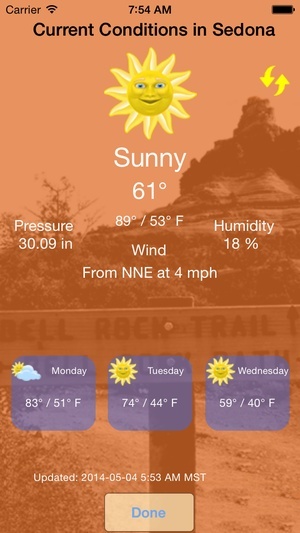 Now you can concentrate on enjoying the beauty of Sedona and not map reading or deciphering stacks of rocks. 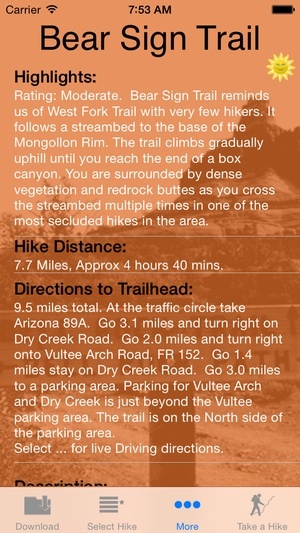 Load the Trail information into your iPhone or iPad (with device and “Take a Hike”! The trail maps and points of interest are preloaded so you don’t need cell service. 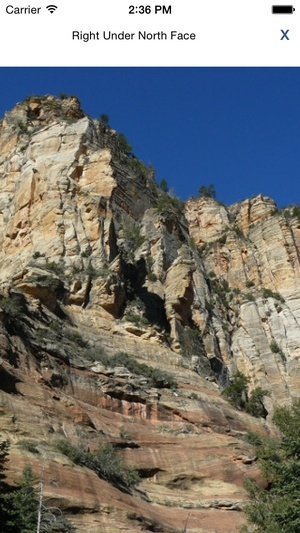 Visit www.SedonaHikingpp.com for trail listings and hike highlights with pictures from the trails. Here’s how it works fter you decide on the trails you’d like to experience you download the trails onto your iPhone or iPad (with a network connection) and select them as you do the hike. Everything you need is in each hike package. 1. Highlights and features of the selected hiking trail. 2. Length and difficulty rating of the trail. 3. detailed description of the trail and what you’ll encounter and experience on the hike. 4. Directions to the trail head or live directions and map if you so desire and have network connection. 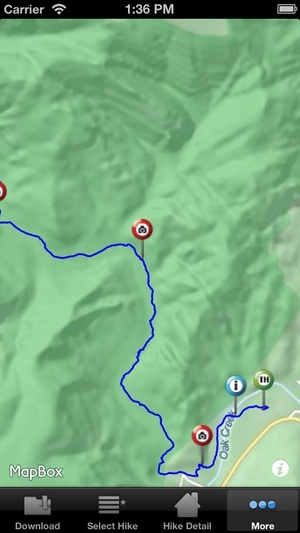 5. trail map on screen that allows you to follow your progress and see your location in real time via so you can be confident you’re on the trail. 6. There are trail markers for intersections to watch for and pictures of what is ahead on the trail so you don’t miss out on sights that might be slightly off the trail. We have 100 trails, that's 360 miles of Sedona beauty! You need a good network connection to download the trails. If you experience trouble please email us, we can help. Remember to turn Location Services This is in the Privacy section of the Settings app. The poor review we just received is the result of this setting being on. Please email us before posting a poor review. We can help. This really is hiking for everyone. Weather Data from World Weather Online. 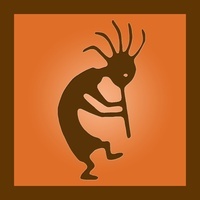 Check these links to find your download for Sedona Hiking for & iOS or for your device iPod TouchiPhoneiPad. 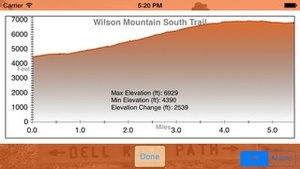 The app Sedona Hiking is compatible with te following devices.